This page contains a translation into English of the lyrics to the popular Greek song "Arapiko Louloudi" (Αράπικο λουλούδι), which was sung by Stella Haskil (Salonikia) and Vasilis Tsitsanis as a duet. Also included is a pronunciation guide for the Greek lyrics so you can sing along if you like. For more information about the laiko and rebetiko styles of music, see Introduction to Laiko / Rebetiko Music elsewhere on this web site. Vasilis Tsitsanis was the composer and lyricist for this song. He was also part of the original duet that introduced this song. 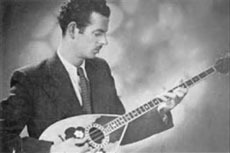 Tsitsanis was a versatile musician who learned to play violin, mandola, mandolin, and bouzouki. 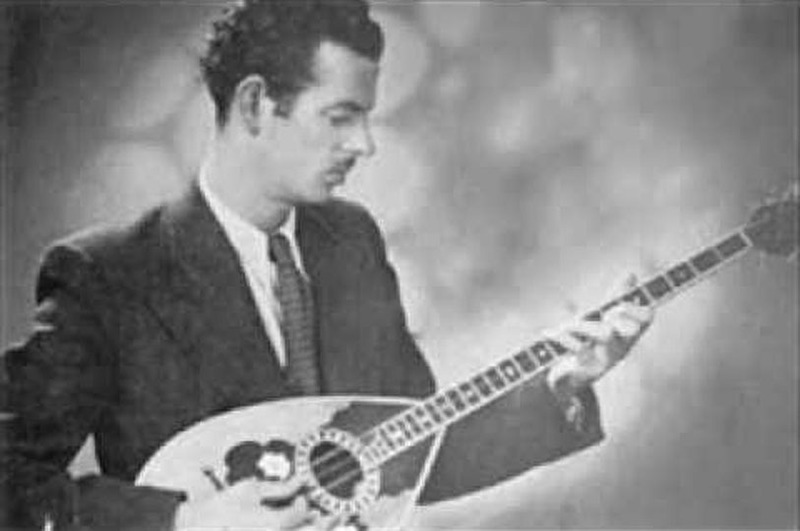 He collaborated with a number of singers to record the songs he had composed, with him accompanying them on bouzouki. His music helped launch several of his collaborators to fame and successful careers. ABOUT THE PHOTO: Vasilis Tsitsanis as a young man. Stella Haskil born in Thessaloniki in 1918 as Stella Gaegou, of Greek Jewish heritage. 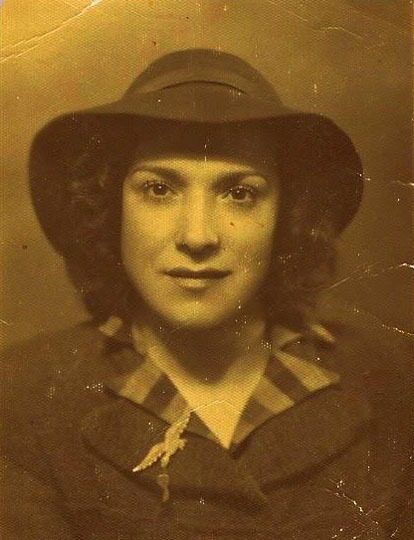 Her father came from a wealthy Thessaloniki family who lost all during the Nazi occupation of Greece. Her mother was born in Skopje, Macedonia, but moved to Greece with her family. As a singer, Stella became renowned for having a smooth, velvety voice, recording 135 songs. She was also a songwriter, and is respected as one of the great Rebetises of Greek music. Stella rose to fame in the 1940's and 1950's as a post-war artist. She died of cancer at age 36. Due to her death at a young age, not many Greeks from newer generations are familiar with her work. ABOUT THE PHOTO: Stella Haskil as a young woman. Numbers in parentheses refer to footnotes that appear at the bottom of the translation. αράπικο λουλούδι μαγικό arapiko louloudi mayiko magical Arabian (1) flower. θα το πληρωθείς tha to plirothis you will pay for it. κι όσα έζησες μ' αυτή να σβήσεις ke osa ezises m’ afti na svisis and everything you lived with her, to forget it all? Many of the old songs use the word "Arapia" liberally. The lyrics generally use it to refer to Arabic-speaking or Indian women. Unfortunately, in the modern Greek language, the term "Arapis" has become an offensive racial slur for people with dark skin. Although this newer definition now exists, it did not mean this when the lyrics were written. When newer generations listen to these older songs today, they realize the lyrics are referring to an innocent use of the word, and can enjoy the music in the way it was intended. The original Greek simply says "erase" or "forget", doesn't include the words "it all", but "it all" was added to help convey what the lyrics are saying. I always love engaging with intelligent like-minded people, especially artists. I love sharing anything and everything about my Hellenic culture and upbringing, especially music and dance. A conversation with me will bring you back to America's favorite Greek-American movie by Nia Vardalos called My Big Fat Greek Wedding. I love investigating Greek culture, history, music, and dance. Speaking of investigating, I think I missed my calling, I probably should have been an investigator. Instead, I use those skills to dig and dig and dig tirelessly, often times falling asleep on my laptop... just to find the truth. But, most importantly, accurate truth. For me personally, and other respectable folklorists, my culture and accuracy are very important. Each generation of ethnic born artists has a duty to do the best it can to pass down our traditions as was taught to us. We have been given this artistic gift to be the gatekeepers of our heritage and culture.